Continuing on the promo tour, Olivia Cooke attended the 'Ready Player One' premiere at the Dolby Theatre in Hollywood, CA yesterday evening(March 26th). 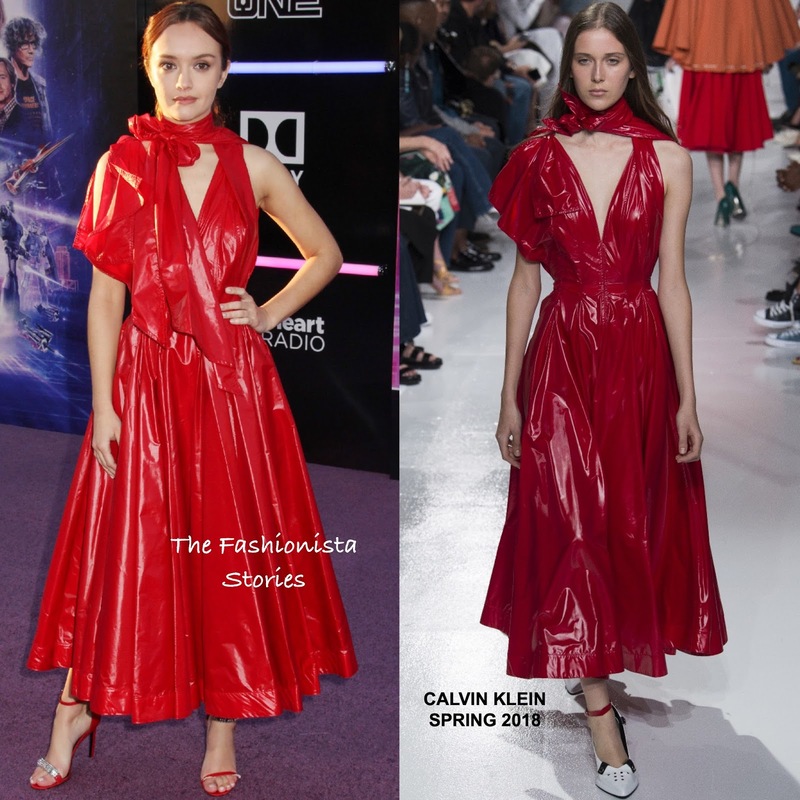 She hit the purple carpet wearing a CALVIN KLEIN SPRING 2018 red shiny leather dress which stopped above her ankles and featured one split sleeve, a tie & deep-v neckline and a pleated skirt. I love the color and I am sure this dress looks great in person but photographically, it is not the best. She finished up her look with a center part ponytail, minimal make-up and red embellished sandals. Are you sold on Olivia's look?